We’ve fired up our seedling greenhouse, just as the maple sugaring season is ramping up. For some farmers who do both at this time of year – and we know a few – the seasonal rush is even greater, as doing both keeps them working nearly round the clock. We don’t do both, but even so, just starting our onions and leeks this week has kept us busy. 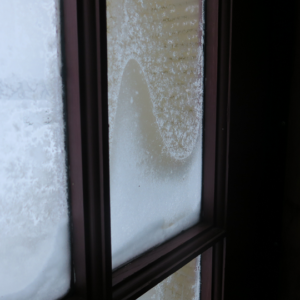 Swept out the greenhouse – check; verified our heating systems – check; defrosted the water pipes – check. We’re off to the races, the season is already looking good – intense, but good. 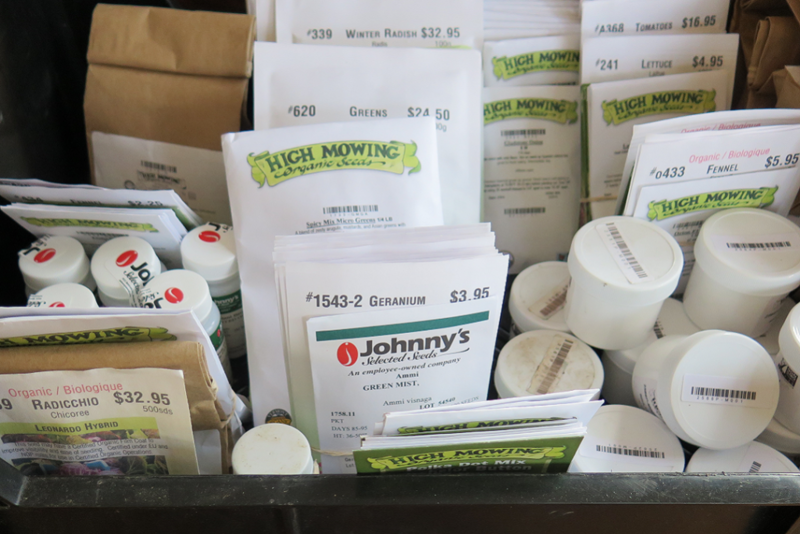 Among other things, we’ll be readying ourselves for a seedling sale at the farm, the weekend of May 18-19. We’ll provide a list of available plants in short order. Meanwhile, registration for CSA baskets is in full swing – you can sign up here if you haven’t done so already. Our 21-basket season will run from June 12 to November 3. This year, we want to focus on the diversity of content in the baskets and in our exchange basket – which will be larger and more varied than in the past – to ensure a larger selection of vegetables throughout the season. Another focal point this season will be the use of plastic in our baskets, which we hope to reduce to a minimum or eliminate, even. More on our zero waste efforts to come. 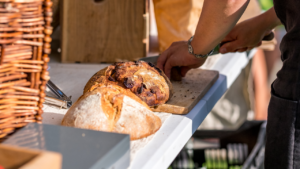 Registration for the sourdough organic breads of Capitaine Levain has also begun, you’ll find their Arlington Gardens sign-up links here (paniers surprises and paniers au choix) as well as on our own bread basket sign-up tab. We hope to see you back in droves at our drop-off locations. It’s been a long winter, spring is almost here – we’re sooooooo looking forward to summer and to seeing you all again. 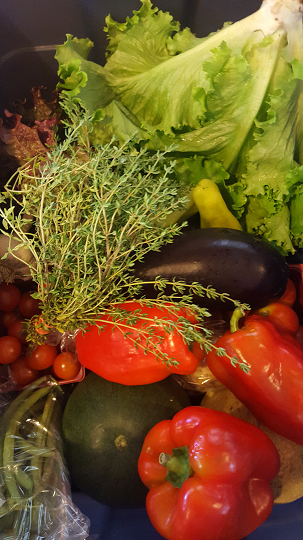 Drum roll #1 : the 2019 CSA basket season at Arlington Gardens has begun! Drum roll #2 : we will be celebrating our 10th anniversary this year! Indeed, it was a little over 10 years ago that we moved to Stanbridge East to sow a few seeds and offer up the fruits of our labour. 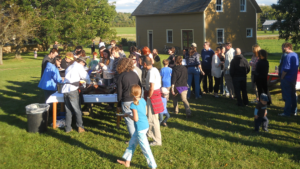 We will also be celebrating 10 years of your generous support, a solidarity that moves us and helps sustain us in our mission, transcending both the mundane and the complex challenges of our daily farm existence. So be sure to mark your calendars : planning is already underway for a celebratory farm event in September, on Labour Day Monday. The launch of the 2019 season means you can sign up for your CSA basket here & now. This year, we are back to a regular CSA programme of 21 weeks for all, beginning Wednesday, June 13 and ending Sunday, November 2. Mother Nature’s unpredictable end-of-season climatic variations were making November deliveries increasingly hasardous as most of our drop-off locations are outdoors. Delivery days, times and locations are otherwise unchanged. We are happy to announce the return of sourdough breads from Capitaine Levain, our farm-fresh eggs and, if all goes as planned, honey from our very own beehives. Last but certainly not least, following on a zero-waste drive we started last year, we will be calling on all of you to help us get rid of the last of the plastic bags which we were still using in our weekly deliveries and at the market. Stay tuned – we’ll get back to you with details on that front in due course. From now on, we will keep you apprised of our seasonal farm prep via regular emails invite you to follow us on facebook and instagram. We hope to see you back in droves, and look forward to sharing the earth’s bounty and the summer’s warmth with you all. Amidst the clamours of the Cassandras who assail us daily, one occasionally happens upon a piece of news, an analysis or a commentary which gives hope and warms the heart. I stumbled upon one such piece of information in The Guardian mid-month: an article that confirms what I already knew – namely, that Mother Nature really does do things well. Indeed, it just so happens that the human body can rid itself of almost all the harmful pesticides found in conventionally-grown fruit and vegetables simply by switching to a diet composed of organic produce and foodstuffs in…get this…fewer than just ten days! IMHO, the article makes an open-shut case for first, an increased share of shelf-space for organics and second, greater citizen choice. See The Guardian and Le Devoir for details. Three things we really like about the new guide : first and foremost, the emphasis placed on fresh vegetables; second, the importance accorded to the daily consumption of pulses (so sorry, Lise Ravary) and cereals; and third, the lesser relative importance of meat and dairy products in our daily diet. January started as expected, with everyone wondering what winter would bring. Well, winter has replied – first with bone-chilling temperatures and now, since yesterday, with a full-on blustery winter storm. Amongst shades of white and glimpses of shimmering greens, greys and browns, the windswept countryside is transformed. This morning our housebound youth was hoping for a ped day, to hit the slopes and assess the height/depth of the snow drifts. But the school authorities have decided otherwise : classes are on. That said, I toured our woods this weekend, if for no other reason than to let any trespassing hunters know that the owner was afoot, and would not tolerate any uninvited hunterly activities. The excursion was a success, as nary a soul was seen, which was exactly as I hoped it would be. The woods revealed their sad beauty, hidden all summer by the insolent greenery, but revealed at last as one walks through them, dripping wet in the autumn chill. Winter is fast approaching, and with it, the prospect of many more woodland wanderings. Cooler weather but relatively sunny skies mark the end of the regular CSA basket season at Arlington Gardens. Twenty full weeks, sometimes wet but mostly hot and dry, the likes of which we hadn’t seen in several years. We’ll do a seasonal post-mortem in a month or two, once winter will have settled in, as we contemplate snow-filled fields – but already, in terms of lessons learned, we know we’ll have to be prepared for just about anything next year, given this year’s prolonged dry spell following on the previous year’s monsoon-like weather. Growing vegetables in these here parts has become part gamble, part obstacle course, definitely not for the faint of heart. That said, it’s a challenge we continue to take up, and we are already thinking of improvements for next year. We extend a hearfelt thanks to those of you who will be ending your baskets this week. We wish you a great winter and hope to see you again next year, ready to share in our agricultural adventure. For those of you continuing with us for the extended season which starts next week and ends November 22, you will continue to receive our weekly missive, reminding you to pick up your baskets and informing you of their contents. We look forward to seeing you all again. 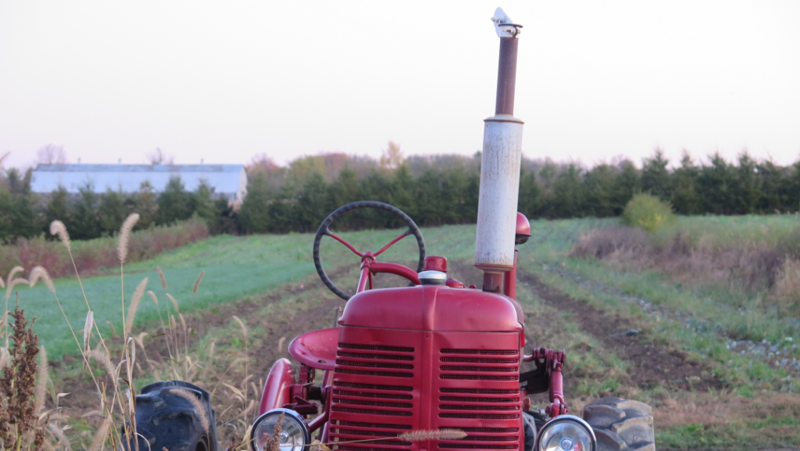 Early Monday morning routine calls for a farmer’s tour of the fields, although said tour takes less time, nowadays. As the wet grass drenches my boots, I know already that some pressing farm work will not get done. Three days without rain are not enough to dry out several recently harvested plots. I’m chomping at the proverbial bit, but will have to wait for better weather, a wait that can be trying as fall progresses. Yet hope springs eternal, particularly with Environment Canada forecasting a warming El Niño effect scheduled to start soon. All in all, today’s walk is a good one, with sightings of vegetables still growing in the fields and in our unheated greenhouse against a backdrop of reds and golds in the woods that surround the farm. Needless to say, our contemplation of fall’s colours is always too brief, but glimpses of the brilliant hues make the day seem a bit less grey.